Fine art giclée prints in a very limited edition of 25. Only 10 Artist Proofs are released. If you are in my area, come by the studio and we can design a custom frame. Prices quoted are unframed. 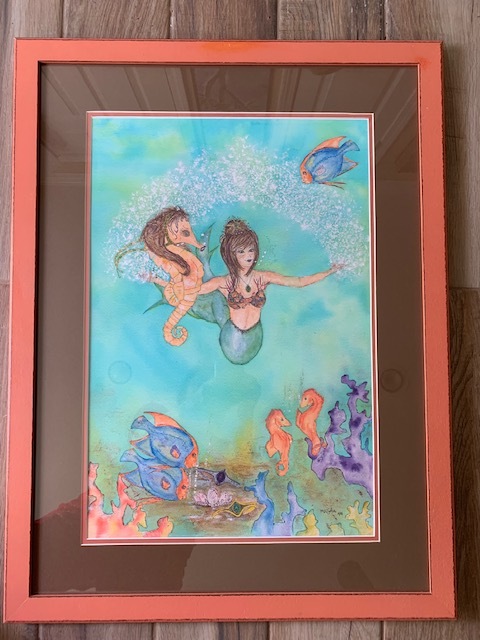 However, for a limited time, all mermaid giclée print orders will include a double mat and backer board FREE! 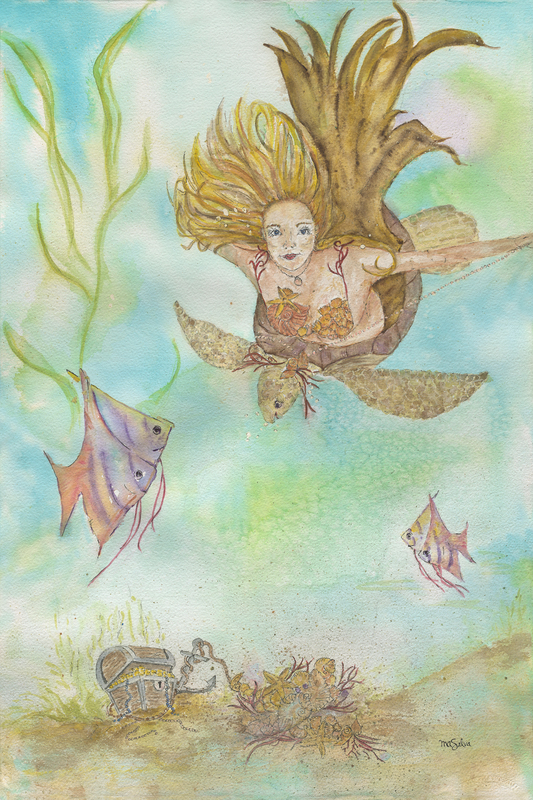 This art portrays Pearl, the youngest of 3 mermaid sisters, with her sea ride Trixi, the Sea Turtle. Pearl is the main character in a corresponding children's book. Jewels is the middle daughter of Lorielli, featured here with her sea ride Sassy, the Sea Horse. 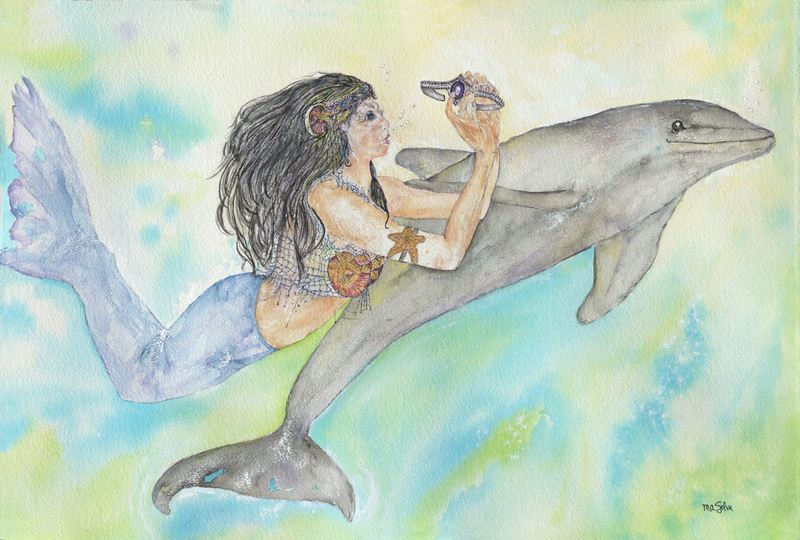 This art portrays Diana, the oldest daughter of Lorielli, with her sea ride Yolanda Moon, the enchanted Dolphin. Diana is the main character in a corresponding children's book. If you would like to purchase a set, call for special pricing. 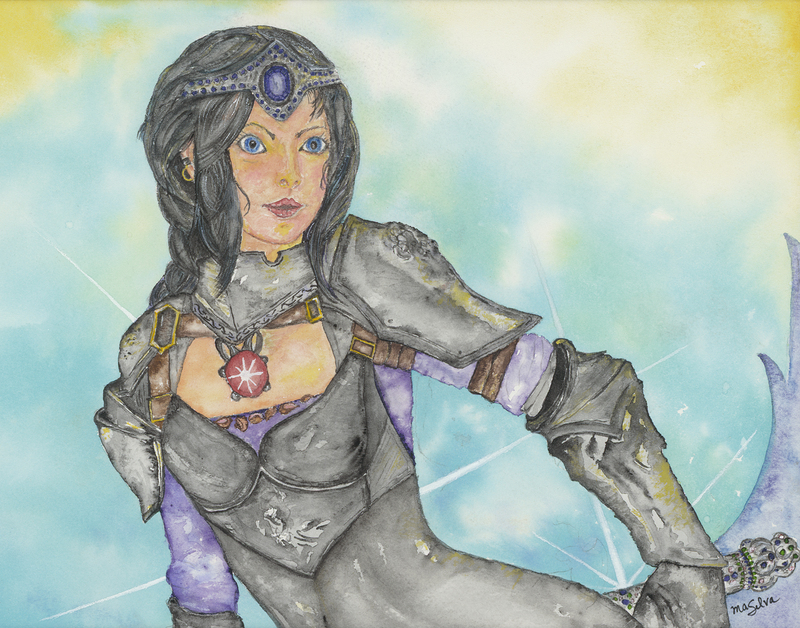 Other illustration from the books are available as original watercolors. 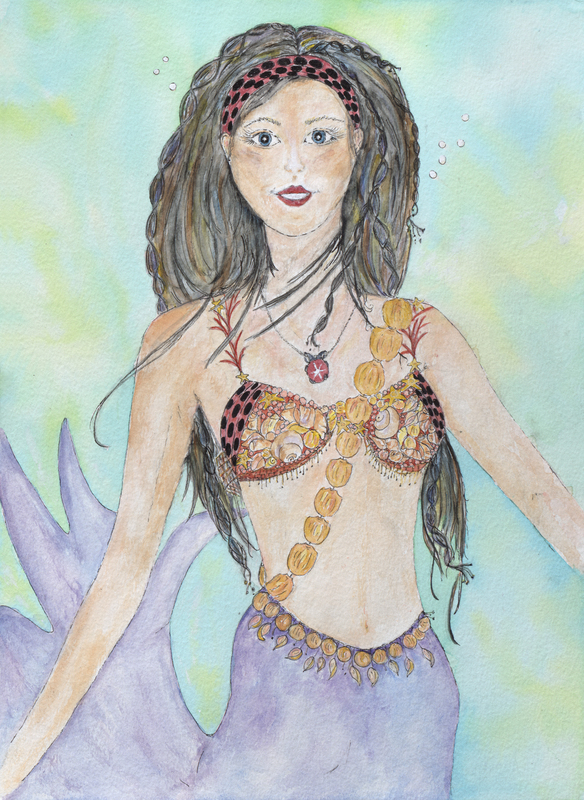 Lorielli is the mother of the 3 mermaid sisters. 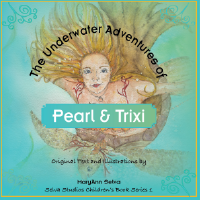 She guides and teaches her girls life lessons in The Underwater Adventure Series. 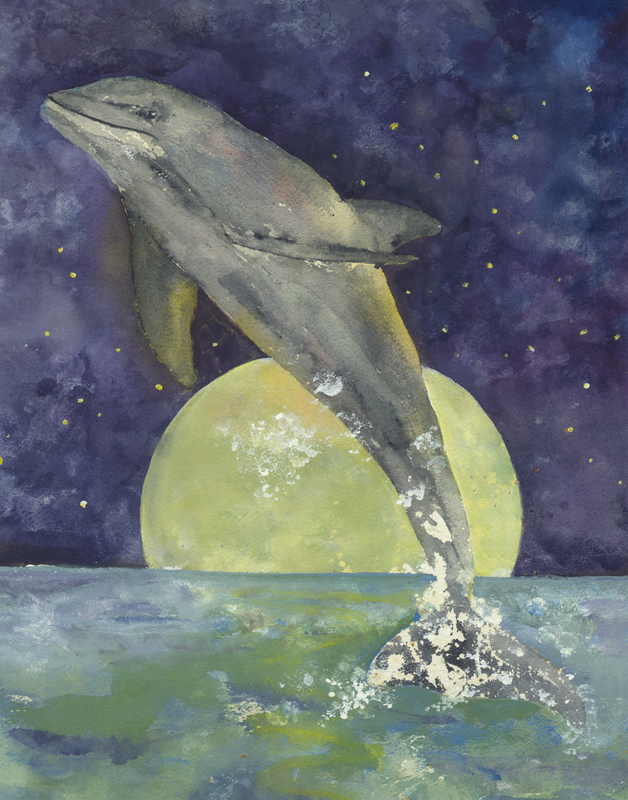 Yolanda Moon comes from a family of dolphins that are closely cared for by the goddess of the moon. 18" x 24" Accepting Pre-Orders now. Fight for the mermaid way of life. Only 8 Still Available. Reserve yours today. There are three sisters and three books. Collect them all! Other illustration from the books are also available as original watercolors. Jewels is the middle sister of Pearl & Diana. She will learn that even days that seem to be bad can reveal new and magical things! Diana & Yolanda Moon $20. Diana discovers a new strength within her and learns that all things are possible when you fight for the mermaid way of life! Featuring characters from the Underwater Adventure Book Series. Custom printed ceramic tile coasters with cork backing. Coasters measure approx. 4-1/4" x 4-1/4". Wrought iron rack holds 4. Custom printed glass tile coasters with bumper feet. 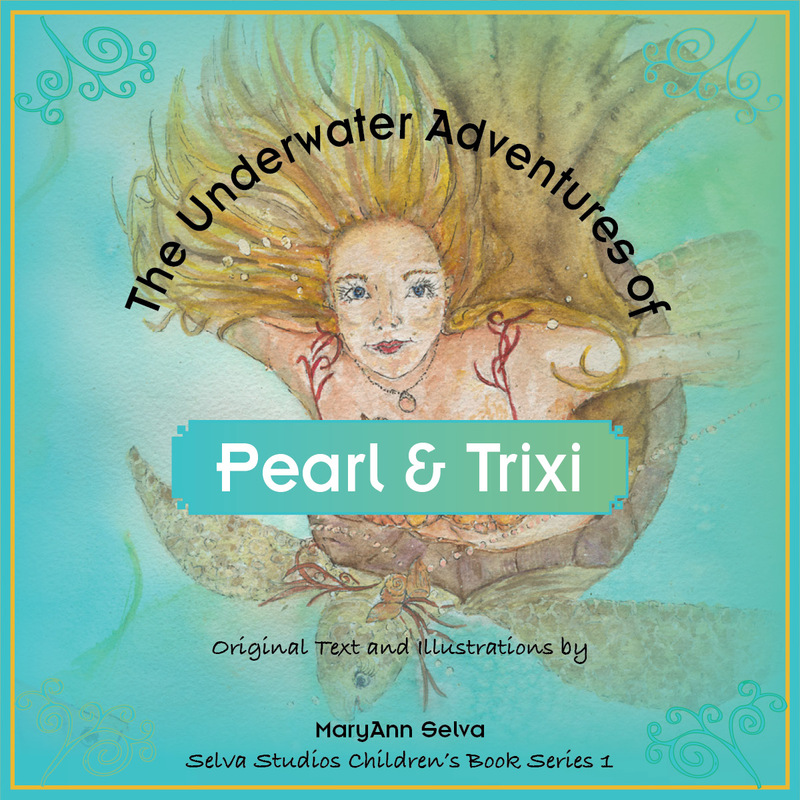 Featuring characters from the Underwater Adventure Book Series. Coasters measure approx. 4" x 4". Attractive wooden rack holds 4.